It’s never too early to be a fan of FCB, so style your child like Thomas Müller, Robert Lewandowski and Arturo Vidal in the new adidas Bayern Munich Home Mini Kit 15/16. It’s never too early to dress up your little one like Thomas Müller, Robert Lewandowski, Mario Götze or Arturo Vidal. The Bayern Munich Home Mini Kit 15/16 is the perfect way to show your support for FCB by dressing up your youngest Bayern fans. This kit is similar to the one the players wear during home games, and it’s available now for a great cheap price at soccerloco. This red and white adidas Bayern Munich Home Mini Kit is a great way to style your young Bayern fan. 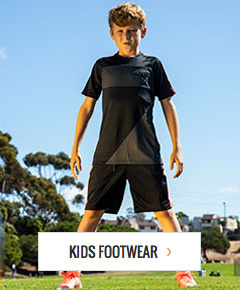 Not only will your youngster look great, but he or she will feel great too. This Bayern München mini home kit is built with ventilated climacool technology to help keep your child cool, dry and comfortable. The shorts are equipped with a drawstring waist to offer an adjustable fit for your growing child. Both the shorts and the jersey are made from 100-percent polyester for a lightweight, comfortable fit. Everyone will know who your child is rooting for with the FCB crest printed on the left chest, "Mia San Mia" printed on the back neck, and "Bayern München" printed across the upper back. It’s never too early to be a fan of FCB, so style your child like Thomas Müller, Robert Lewandowski and Arturo Vidal in the new adidas Bayern Munich Home Mini Kit 15/16 from soccerloco.